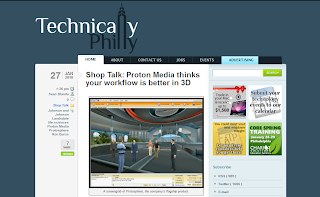 Wanted to thank the fellas of Technically Philly for covering our LIFE SCIENCES 2010 event! They report on how recent layoffs in the pharmaceutical industry are driving companies to look at virtual worlds as a way to collaborate more cost effectively. Click over for their take. You might have heard that analyst firm ThinkBalm published a new report last week, "The Enterprise Immersive Software Decision-Making Guide." It's a use-case-based guide covering how to select immersive Internet platforms and tools. ThinkBalm's Erica and Sam Driver also feature many vendors in their report, including ProtonMedia. Erica was kind enough to participate in an e-mail Q&A with us about their report, findings, lessons learned, and what's next for ThinkBalm. Read on below. Here's the podcast of the complete Life Sciences 2010 seminar and panel discussion that we held in Malvern, Pa., with Microsoft. You can listen to it online using our embedded player, below, or download it to your mobile device of choice. As I mentioned in my previous post, which features Life Science 2010's complete video, we have more event content in the pipeline. Keep an eye on the blog to grab the upcoming transcript, slide show, and a high-def video of my ProtoSphere demo. As promised, we're rolling out video, audio, and other multimedia content spun out of the recent Life Sciences 2010 event held in Malvern, Pa., in partnership with Microsoft. Our first deliverable is this video, which captures the entire panel discussion. We have a second video in the hopper, which we'll present here in another week or so. Also coming: an audio podcast that you can download and listen to offline, or right here using our embedded player; a slide show; and a complete transcript of the seminar. Enjoy the show. 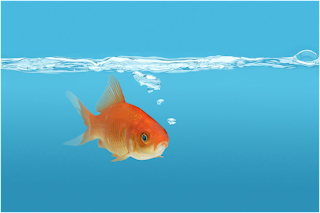 And stay tuned to our blog for news of upcoming educational events. Koreen Olbrish, CEO of Tandem Learning (a ProtonMedia partner) and a virtual world advocate, made a good point on her blog on Monday. She talks about trying to evangelize virtual worlds outside of our own industry bubble. There's a lot of preaching to the choir, which just creates an echo chamber of VW advocates. I think this ties in nicely with what we did Tuesday at our LIFE SCIENCES 2010 event. Looking around the room, there were a lot of faces we recognized from being "in the bubble" for several years. But there were many more faces we didn't recognize -- a sure sign we're poking through that bubble of ours. 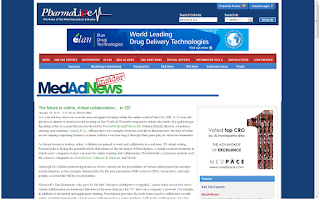 Steven Niles provided a rundown of our LIFE SCIENCES 2010 event on MedAdNews. If you missed the event, Steven gives a good recap of some of the major arguments the panelists presented. Thanks, Steven, for covering it! Our LIFE SCIENCES 2010 event went great yesterday. It was standing room only, and we had a nice mix of attendees join us from many life sciences companies in the area. We've had questions from those of you who couldn't make it, asking if you can get the information that was presented. Rest assured, our blogging team was armed and dangerous with cameras o' plenty at the event. We'll be spinning out video footage, photos, slide decks, and more on the blog. Just give us some time for production, but we hope to have coverage posted over the next week or so. THANK YOU to all the attendees, our panelists, and everyone who helped put the event together! We've had a fantastic response to our Life Sciences 2010 event, and it is now SOLD OUT. Due to the high number of registrations received, we are relocating the event to a larger venue across the street. The event will now be held at Penn State's School of Graduate Professional Studies, located at 30 East Swedesford Road, Malvern, PA 19355. You can find directions here. Don't worry if you receive this notice late due to today's holiday. We'll have people on site at Microsoft Malvern to direct you to the new location, and ensure you get there easily and on time. If you have any questions, please feel free to e-mail or call our event manager, Matt McLoughlin, at 610-996-4264. 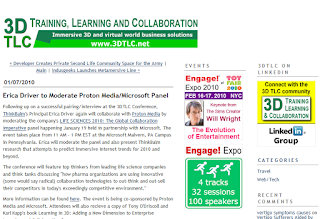 E. Melanie W. Kittrell, Ph.D.
and author of the new book, "Learning in 3D"
I'll also be sitting on the panel. The event will open with a presentation by Erica, followed by a roundtable discussion with the panelists. Then Dr. O'Driscoll will present. 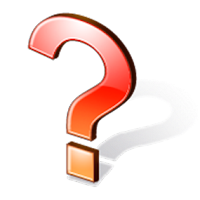 After that, we'll turn the microphone over to you for a live Q&A session. By then everyone will be hungry, and lunch will be served. MORE IMPORTANTLY, JUST A FEW SEATS REMAIN. So RESERVE YOUR SPOT before someone else swipes it. As promised, we have a very special guest on the blog today, and a special treat for you. Years before I first met today's guest, I was influenced by his work. Since the earliest days of ProtonMedia, I have been impressed by graduates of Bloomsburg University of Pennsylvania’s Department of Instructional Technology -- so much so that we have hired several. And today's guest, Karl Kapp, is a key member of the faculty. Karl’s passion for learning and technology is one of the jewels of the Mid-Atlantic technology scene. I am proud to call him my friend. 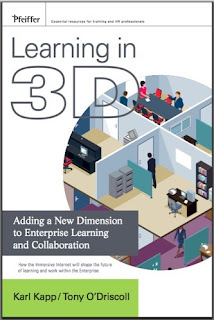 A few months ago I was asked (and agreed) to write the forward of an upcoming new book, "Learning in 3D," coauthored by Tony O'Driscoll and Karl Kapp. Published by Pfeiffer, a division of John Wiley and Sons, it's the first title from a major imprint to help readers understand the impact that 3-D environments, virtual worlds, and immersive spaces can have on education, business, and society. The book is officially released next Tuesday, Jan. 19. You can order "Learning in 3D" now, or come to our Life Sciences 2010 event at Microsoft's Malvern, Pa., location, and get a signed copy, for free. However you get it, I think you'll find it a must-read and must-share with colleagues who are interested in finding ways to improve training, collaboration, knowledge transfer, and organizational efficiency. To celebrate the book's publishing, our blogging team interviewed Karl at his office on the Bloomsburg University campus, Bloomsburg, Pa. Kwan Morrow took the point, while Katelyn Winslow pointed the camera. Here's the result, in high definition. Contact us if you would like a copy on DVD. By the way, if you enjoy our interview with Karl, you might also find my video interview with Karl's coauthor, Tony O'Driscoll, informative. We promised to keep you in the loop about the panelists and special guests who'll be featured at our LIFE SCIENCES 2010: The Global Collaboration Imperative event with Microsoft on Jan. 19. Here's our first big surprise. Our panel moderator will be Erica Driver, Principal of ThinkBalm. Recently rated one of the top 100 analysts by Technobabble, Erica is one of America's most sought-after speakers on the immersive Internet. Erica has been in the IT sector for 15 years. She's a former principal analyst from Forrester Research, where she launched the company’s Web3D coverage as part of her enterprise collaboration research. Before joining Forrester, she was a Director at Giga Information Group (now part of Forrester) and an analyst at Hurwitz Group (now Hurwitz and Associates). She began her career in IT as a system administrator and Lotus Notes developer. Karl Kapp, author of the forthcoming book "Learning in 3D", and a good friend of mine, penned a blog post that I thought hit the nail on the head when it comes to answering the question of Why 3-D? He says that 3-D immersive environments can accurately replicate real-world learning spaces, without being constrained by real-world bounds of distance and place. "The real power of a virtual immersive environment is the ability to transport the learner or collaborators into an environment that is ideally suited for the learning or collaborating that needs to take place and this usually requires an altering of the spaces," he writes. Labels: 2-D environments, 3-D, Collaboration, Immersive environments, Kapp Notes, Karl Kapp, Learning, Learning in 3D, Research, Why 3-D? Merrilea Mayo, Ph.D., Director of Future of Learning Initiatives for the Ewing Marion Kauffman Foundation, recently wrote an article that outlines some of the opportunities for using virtual worlds for learning. She presented some good observations on why the gaming-learning merge isn't quite here yet, and I thought I'd share the link with you all.